INDEX COPERNICUS, EBSCOhost™, ULRICH'S, OPEN J-GATE, DIRECTORY OF RESEARCH JOURNAL INDEXING (DRJI), DIRECTORY OF OPEN ACCESS JOURNALS (DOAJ), GENAMICS. 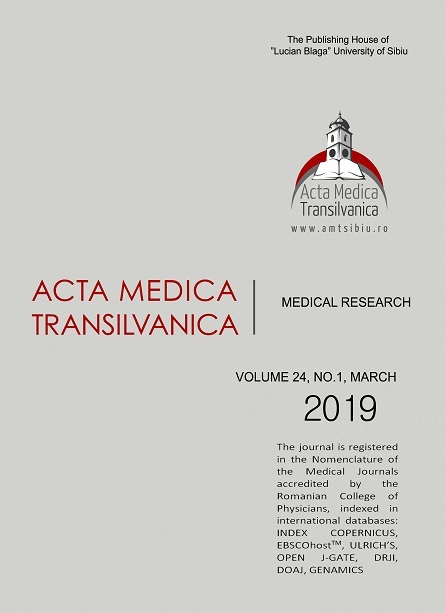 Registered in the Nomenclature of the Medical Journals accredited by the Romanian College of Physicians. Articles accepted after the peer-review process will be published on average six months of their submission. Printed on acid free paper.